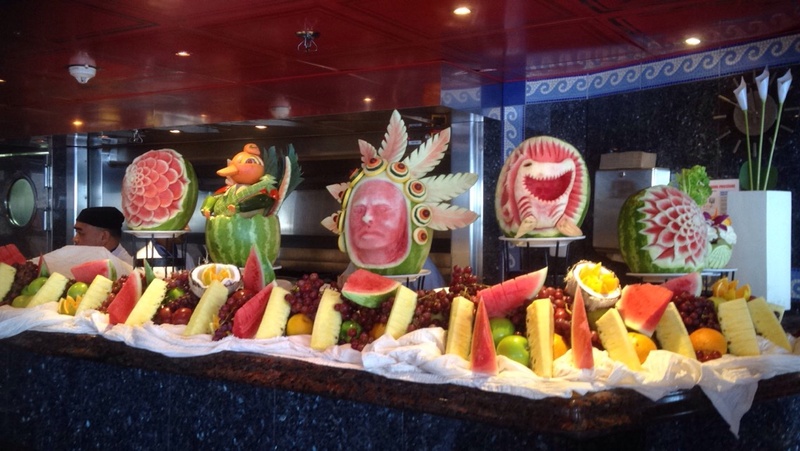 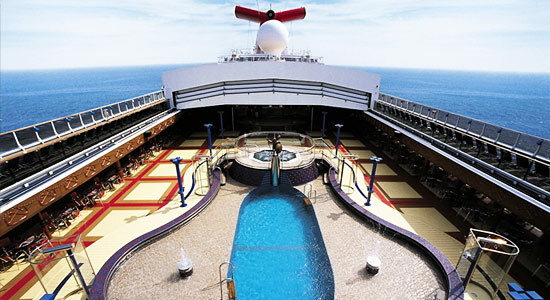 Enjoy the panoramic view from the Sky Deck, the Carnival Miracle's highest deck. 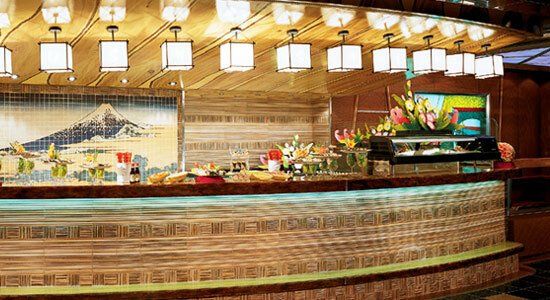 The Sports Deck features the upper level of Nick & Nora's Steakhouse, the Kids' Pool, and water slide entrance. 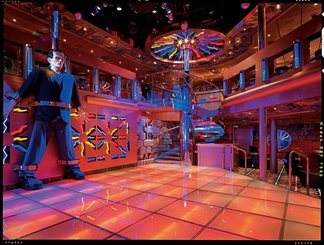 The Sun Deck features the upper level of the Gymnasium, Fitness Studio, Club O2, and the lower level of Nick & Nora's Steakhouse. 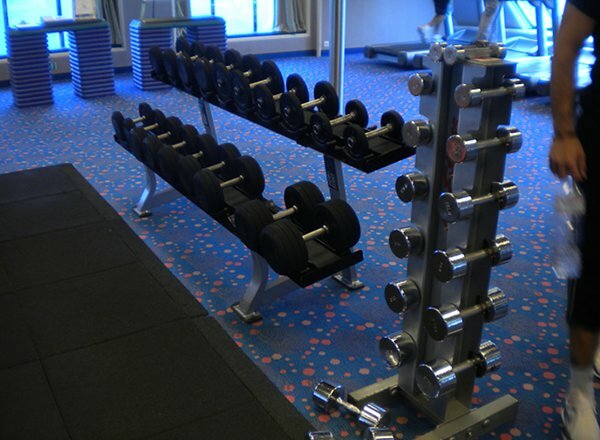 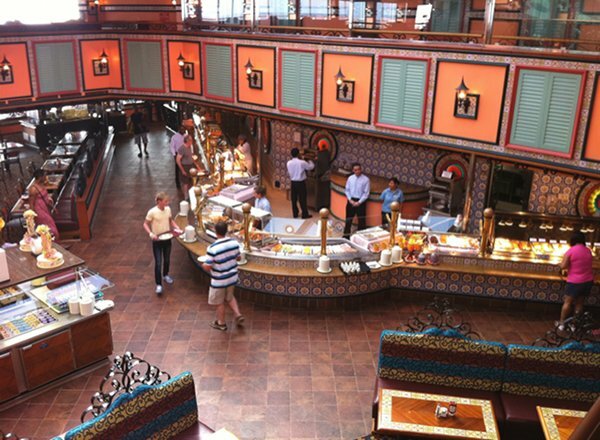 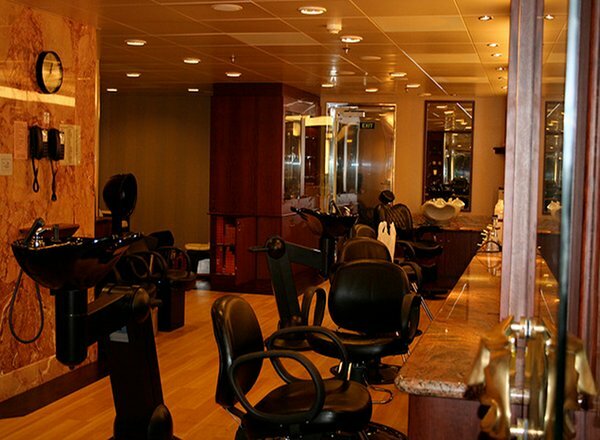 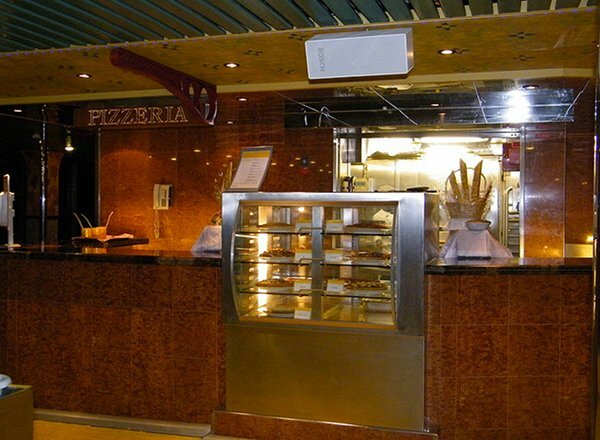 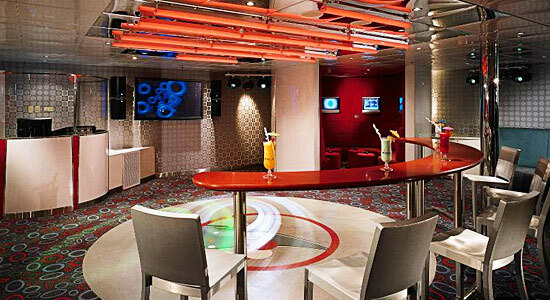 The Lido Deck features the Gymnasium, Spa Carnival, Venus Salon, Sirens Forward Pool, Odyssey Bar, Ulysses Main Pool, whirlpools, Horatios's Lido Restaurant, Asian Corner, Taste of the Nations, the Deli, a Buffet, Lido Cafe, Salad Bar, Pizzeria, and the Serenity area, pool, and whirlpool. 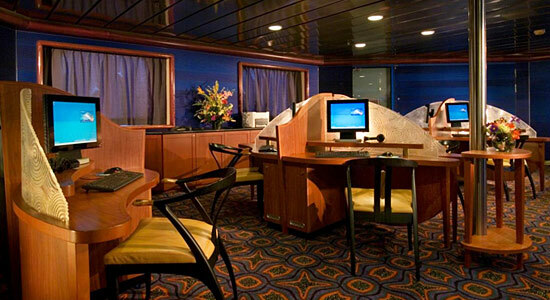 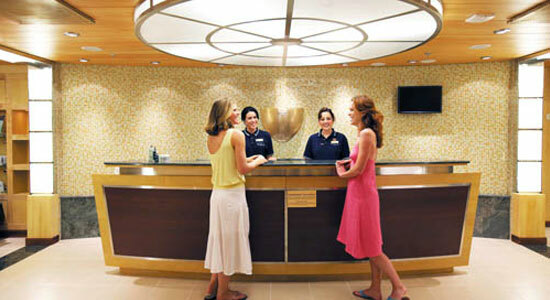 The Panorama Deck features staterooms in categories VS, OS, 9B, 8N, 8K, 8F, 8E, and 4E. 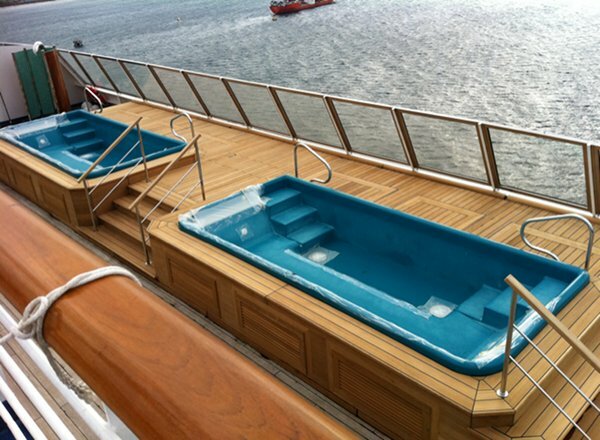 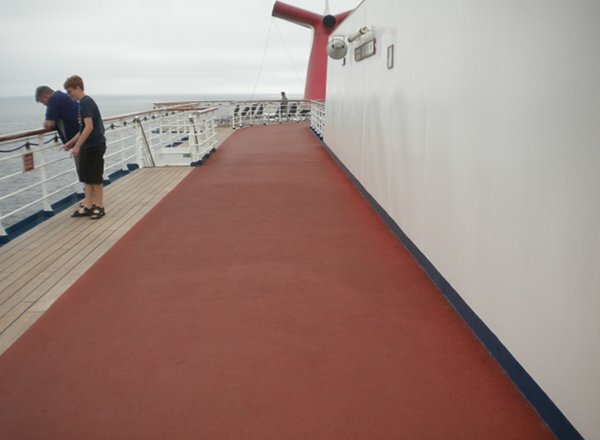 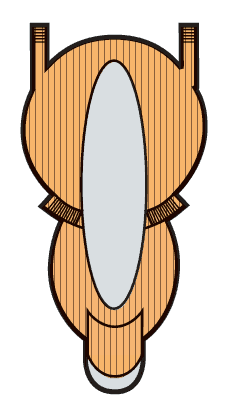 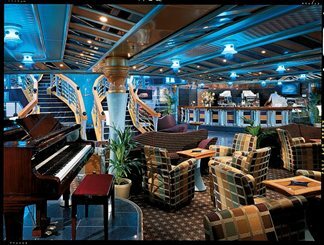 The Verandah Deck features staterooms in categories VS, OS, 9B, 8N, 8K, 8E, 8D, 4E, and 4D. 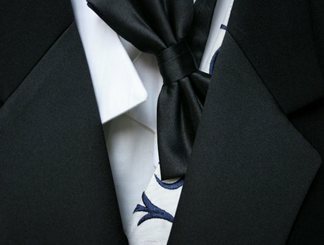 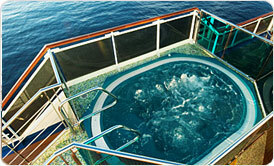 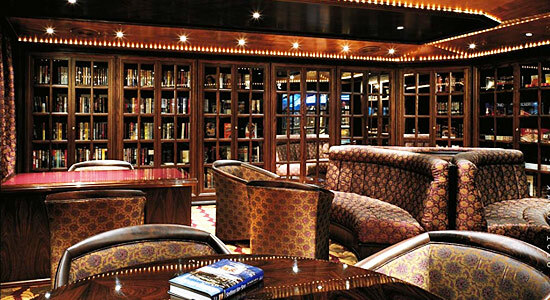 The Empress Deck features staterooms in categories GS, VS, OS, 9B, 8M, 8J, 8D, 8C, 4D and 4C. 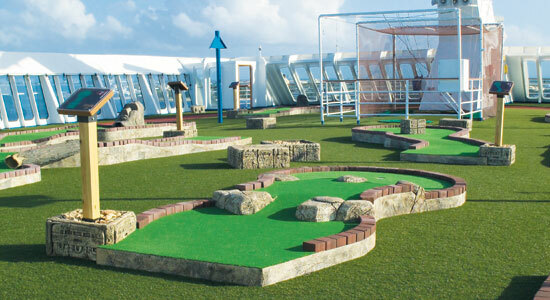 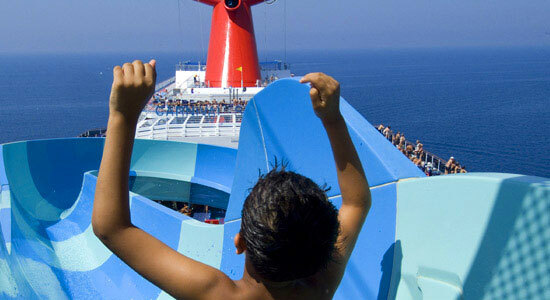 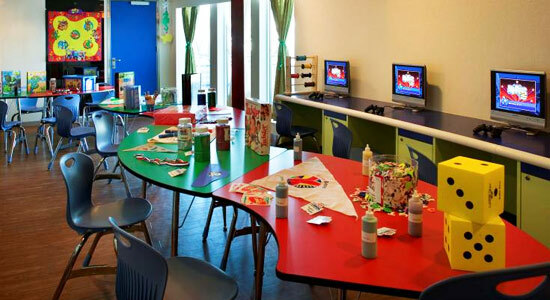 The Upper Deck features staterooms in categories VS, OS, 9A, 8M, 8J, 8C, 8B, 7A, and 4B, as well as Camp Carnival. 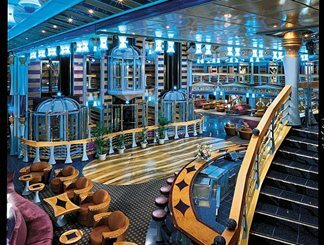 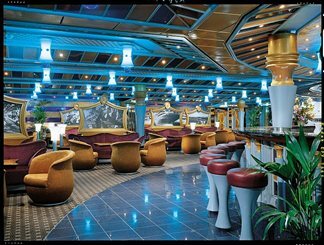 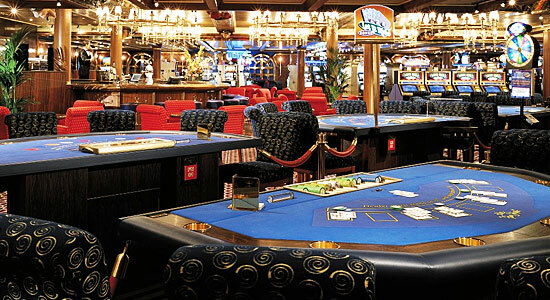 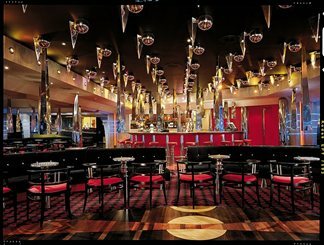 The Main Deck features staterooms in categories VS, JS, 8M, 8B, 8A, 4K, and 4B, as well as Wizards Video Arcade, Circle "C," and the upper level of the Phantom Main Lounge. 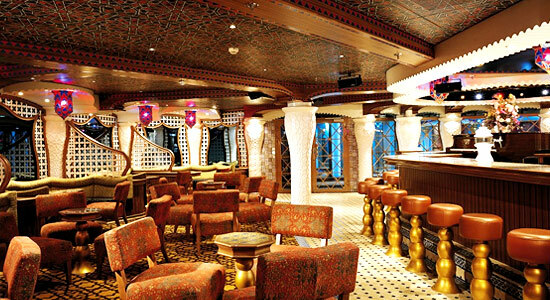 The Atlantic Deck features the middle level of Phantom Main Lounge, Gatsby's Garden Interior Promenade, The Raven Library, The Chapel, Way, Sam's Piano Bar, Kane's Way Upper Promenade, The Fun Shops, Yellow Brick Road, Metropolis Atrium, the Photo Gallery, City Conference Room, Gotham Lounge, and the upper level of Bacchus Dining Room. 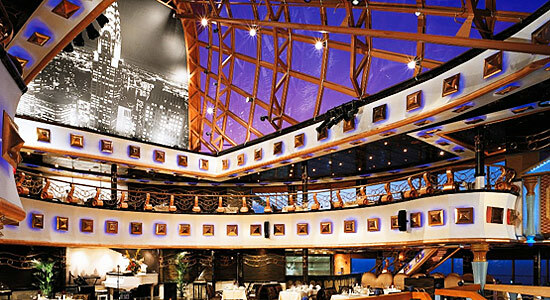 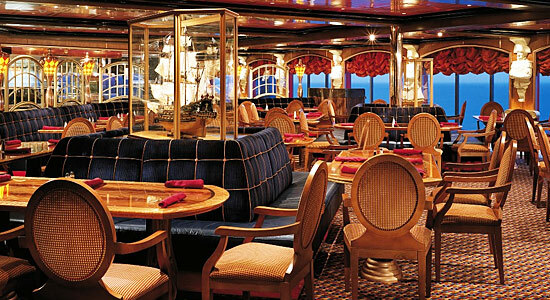 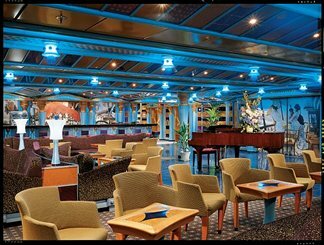 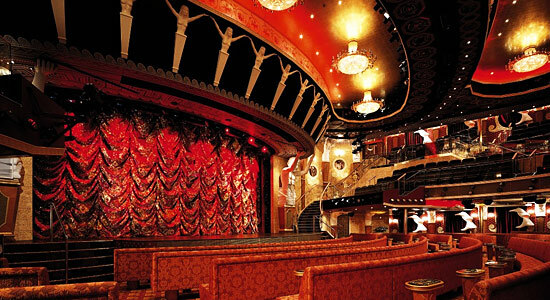 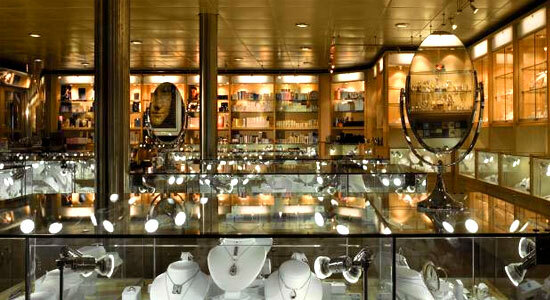 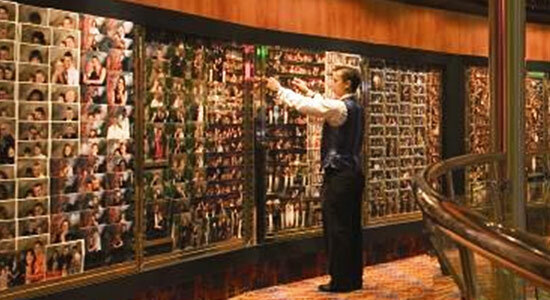 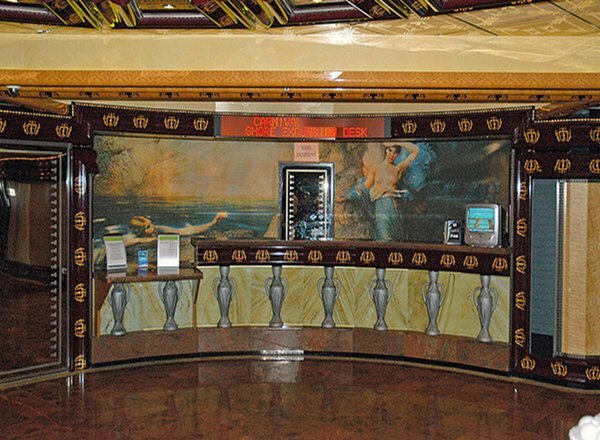 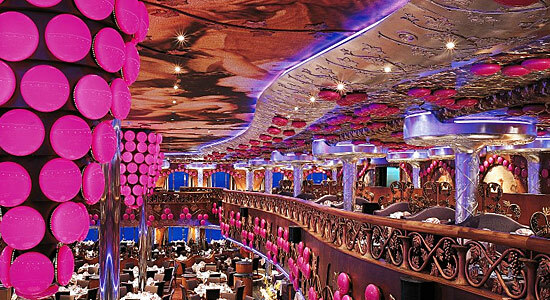 The Promenade Deck features the lower level of Phantom Main Lounge, The Jazz Club, The Joker Card Room, Fountainhead Cafe, Taste Bar, Maguire's Bar, Mr. Lucky's Casino, Shore Excursions Desk, Metropolis Lobby, Guest Services, Jeeves Lounge, the upper level of Dr. Frankenstein's Lab Dance Club, the Ariadne Room, and the lower level of Bacchus Dining Room. 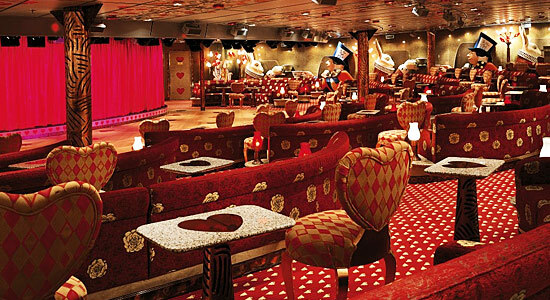 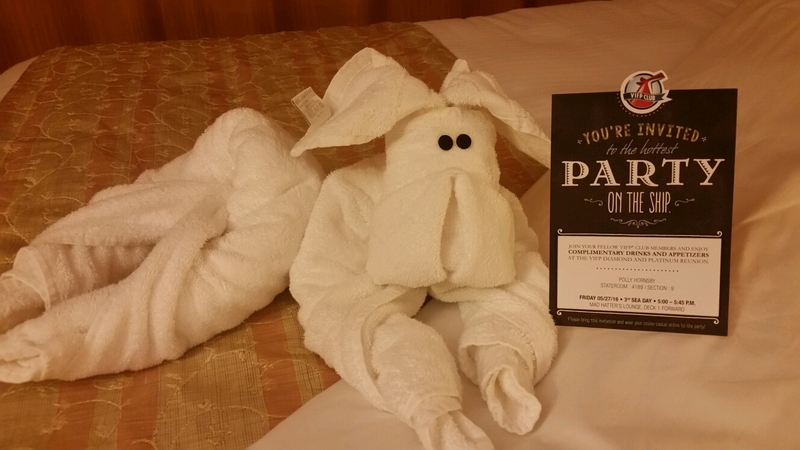 The Riviera Deck features staterooms in categories 6A and 4A, as well as Mad Hatter's Ball Lounge and the lower level of Dr. Frankenstein's Lab Dance Club.